SOUTH AUSTRALIA, AUSTRALIA – With one day left in the 2017 Bridgestone World Solar Challenge, PrISUm Solar Car is less than 400 kilometers from the finish line. The morning started about 20 miles north of Marla with temperatures in the low 60s, considerably cooler than the previous days, but no shortage of sunlight. The solar car, Penumbra, logged 230 kilometers on the day, driving through the country’s flatlands before hitting the controlled stop in the opal mining town of Coober Pedy where temps had risen to the high 80s. 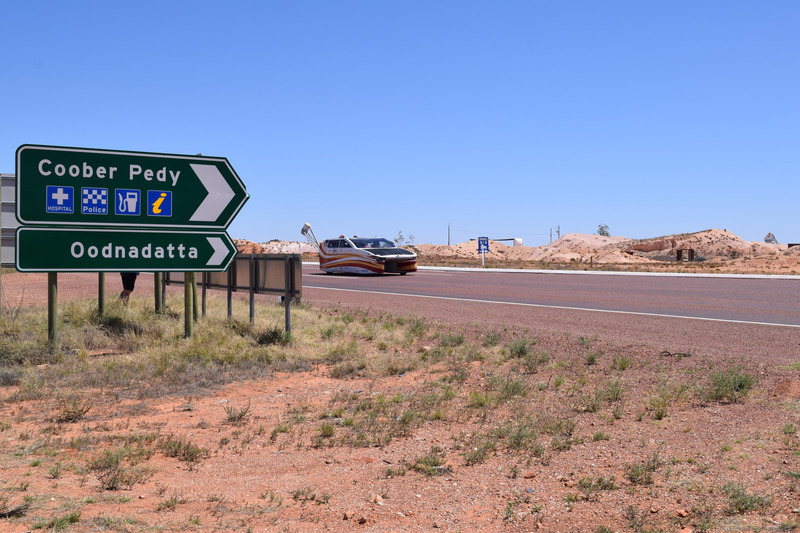 From there the team trailered Penumbra to the night’s camping spot about 60 kilometers north of Port Augusta. Throughout the day and during the entirety of the race communication between PrISUm’s six-vehicle convoy has been crucial. The convoy consists of Penumbra, a lead car, a chase car, a scout car, a media car, and a trailer to haul Penumbra and the team’s equipment. Each vehicle is equipped with both a HAM radio and a CB radio. The CB, or citizens band, radio allows for communications within the convoy as well as with road trains and other solar car teams. 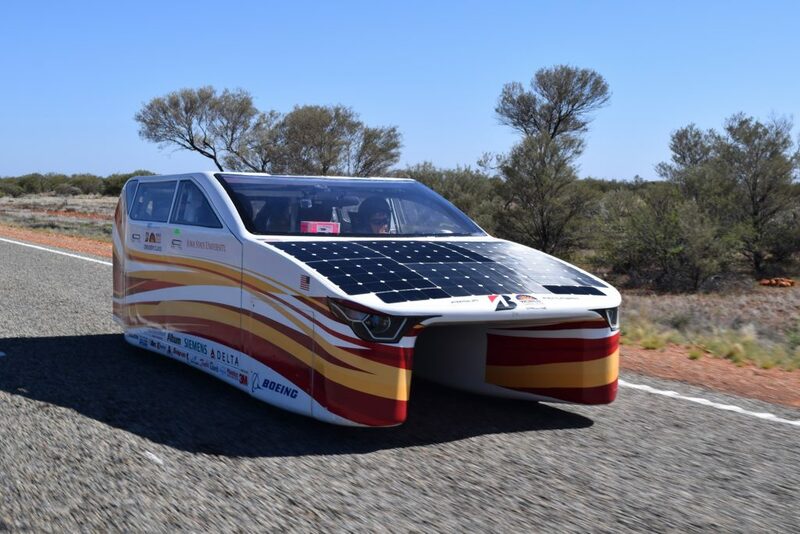 CB channels are assigned for each team and that number is plastered to the outside of vehicles within each convoy to allow road trains and other solar car teams to warn one another when passing. The HAM radio is more for intra-team communications, specifically the driver of the solar car, and that channel is not made public. The HAM also has a shorter range than the CB. Andrew Mallek, a senior in mechanical engineering, has handled communications for the team throughout the race. He said that effective communication is an important part of the team’s race strategy. In addition to handling communications during the race, Mallek also serves as PrISUm’s Systems Director. In this role he helps to integrate the electrical and mechanical parts of the car. “As Systems Director, I spearhead our requirements analysis for Penumbra and oversee the project from a systems perspective. This means early before the design phase, the systems division spends time outlining ways to manufacture and optimize the main interactive features of the car, such as door latches, dashboard, and seating. Throughput the design and manufacturing phases of the car I work with our timeline manager to develop a comprehensive project timeline on top of ensuring co-dependent systems will function reliably,” Mallek said. 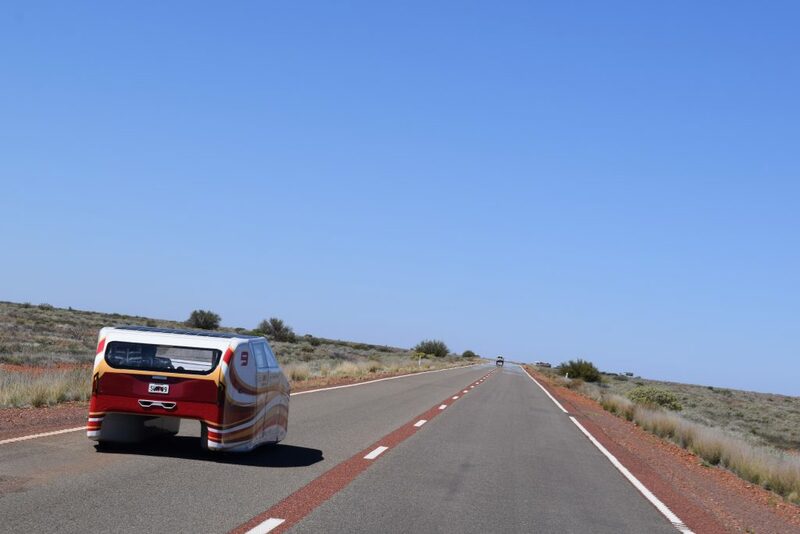 Friday marks the final day of the race and the team plans to drive Penumbra from Port Augusta roughly 360 kilometers south to the finish line in Adelaide. 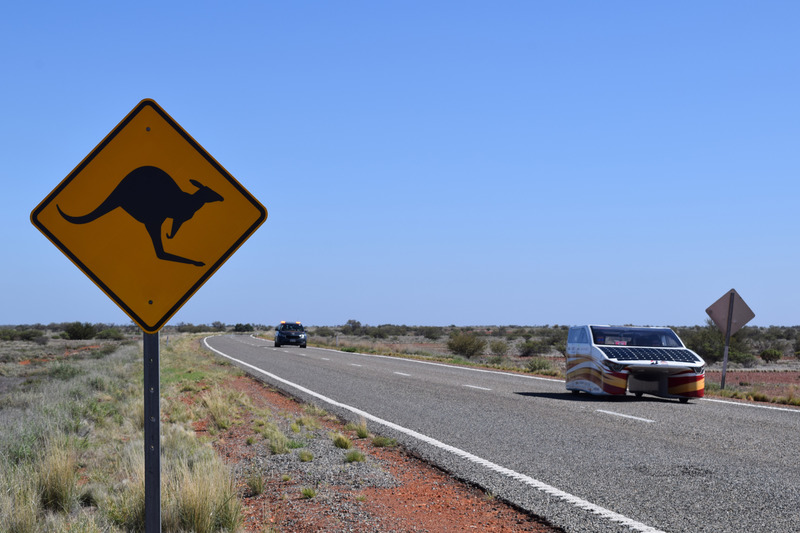 The team has been taking notes throughout the race so that future generations of PrISUm can improve upon Penumbra and potentially return to Australia for the Bridgestone World Solar Challenge in 2019. “Joining Team PrISUm and coming on this adventure has changed my outlook on life. I never expected to come to Australia’s tralia but the hard work of the team and myself did not go unnoticed. Tomorrow when we cross the finish line all the countless hours over the past few years will pay off even more than they already have,” Bonde said.